Pickups and electric cars. Two opposites that haven't been attracted to each other—until now. Our readers, though, seem excited about the possibility of combining the two. 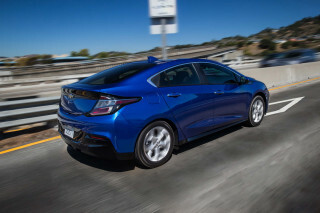 In our Twitter poll last week, we asked, "What electric car are you most excited to hear about from the LA Auto Show?" 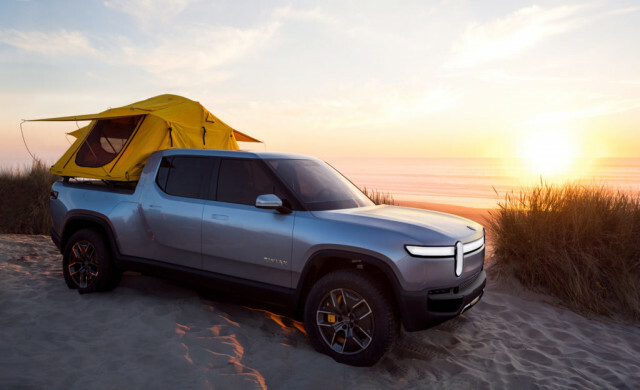 And our respondents overwhelmingly picked the Rivian R1T electric pickup. Perhaps it's no surprise, given that, even in this electric car age, pickups are still the No. 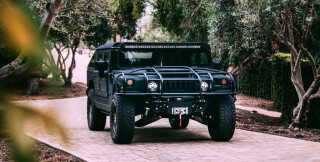 1 selling type of vehicle in the United States. Although our readers and Twitter followers are undoubtedly among the most loyal electric car fans in the U.S., they are apparently not immune to the lure of a good pickup either. With a 400-mile range, and 402 horsepower from four electric motors, the R1T sounds like it could be such a good pickup. 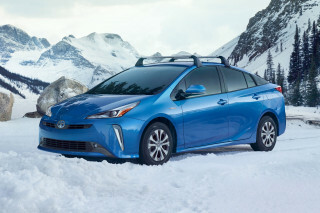 And it may make it to market before the electric pickup that Tesla has been promising. Among our respondents, 40 percent chose the Rivian R1T as the vehicle they're most interested to hear more about. Other choice in our poll included the Audi e-tron GT and the Kia Soul EV, which split the next 40 percent of respondents about evenly. Perhaps that's an interesting reflection of our Twitter poll's demographic makeup, with about half of respondents (at least those who don't care about pickups) choosing an expensive technological tour-de-force—with the Audi's exotic looks and state-of-the art fast charging—and the other half aspiring to something more attainable and, dare we say, perky. Finally, only 6 percent of our respondents were interested in the latest self-driving electric luxury sedan from China, the Byton K-Byte. 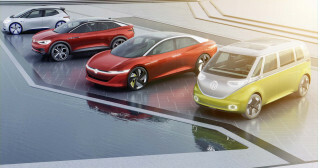 It sounds as technologically advanced as the e-tron GT, but perhaps our followers are more interested in driving their electric cars than just riding in them. In any case, remember that our Twitter polls are unscientific, because of their low sample size, and because our respondents are self-selected. The Rivian pickup, Audi e-tron GT, Kia Soul EV, and Byton K-byte also weren't the only new electric cars to debut in LA. They just seemed to us the most interesting.